Experts including consultants, the Small and Medium Enterprises Development Agency of Nigeria, banks and Nigerian Credit Bureau have educated operators in the Small and Medium Enterprise sector on best business practices that can lead to the growth and sustainability of their businesses. The experts offered the tips during various presentations at the annual seminar of the Lagos Chamber of Commerce and Industry SME Group. While speaking during the seminar themed ‘Positioning Micro Small and Medium Enterprises for Development and Global Competitiveness’, the Managing Director, Credit Bureau Association of Nigeria, Mr Tunde Popoola, advised the operators to keep their books clean and reconcile debts as a precondition for obtaining loans from banks. According to him, the job of the bureau is to keep record of debtors, adding that banks and other lending institutions consult the bureau to find out the credit position of people that want to borrow money. Also speaking on how the SMEs could secure loans with ease, the Managing Director, Sterling Bank Plc, Mr Abubakar Suleiman, who was represented by the Head, MSME Banking Department, Ezinne Nwokafor, observed that the lack of structure and limited documentation in the SME business acted as a major hindrance to operators obtaining bank credit. She added that although most SMEs could make millions of naira every month, they might not have any record of their earnings, which was very important in decision making by lending institutions. Other things listed by the Sterling Bank MD acting as hindrance to the SMEs were limited collateral, limited financial knowledge about the kind of loan to be obtained and limited access to market. Also speaking, the Convener, SME Think Tank, Mr Sola Dawodu, advised the SMEs to look for new opportunities and invest in marketing and promotion of their businesses. 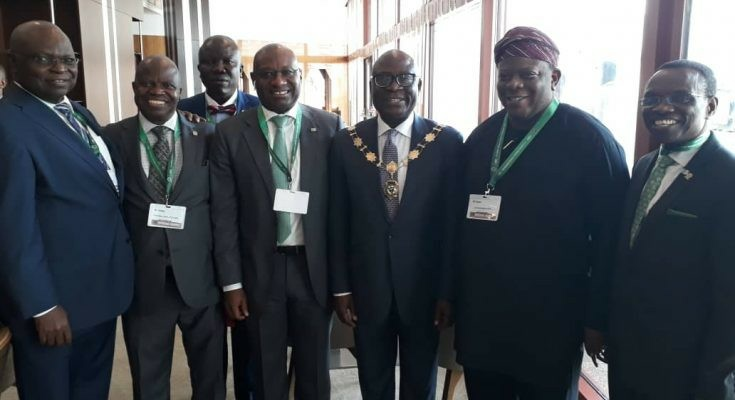 He also advised them to master the art of speaking and winning people over, adding that they should upgrade their processes and personnel to be relevant in the global marketplace. The Lagos State Coordinator, Small and Medium Enterprises Development Agency of Nigeria, Mr Adeyinka Fisher, said the MSMEs must accept the new challenges that came with the operating environment and reposition themselves to adapt. He said the government had created many initiatives targeted at the operators, including the intervention funds, training and registration of business development experts and others. The President, LCCI, Mr Babatunde Ruwase, urged the government to refocus attention on the non-oil sector where the SMEs would participate more. In his welcome address, the LCCI SME Group Chairman, Mr Abiodun Oladapo, said that the main reason for the seminar was for members and the business community to become aware of the opportunities available and take full advantage of them.